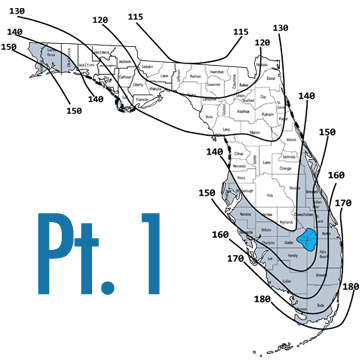 This course is designed to introduce Florida construction professionals to the Wind Mitigation Methodologies Retrofitting Techniques required by Florida Statute 553.844. By completing this course the Contractor will become familiar with the following improvements as outlined in the Supplement to the 2010 Florida Building Code- Existing Building Chapter 6 & 16: prescriptive techniques for gable-end bracing, strengthening and fastening roof sheathing, and creating a secondary water barrier. In addition to the Retrofitting requirements for those improvements, the Contractor will be informed about the need for Wind Mitigation in Florida, as well as costs estimates associated with the aforementioned improvements. © 2019 - On-Line-Classes. All rights reserved.